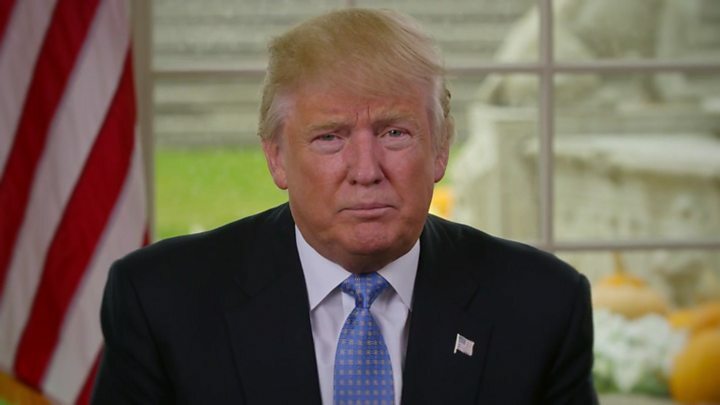 The Chinese government will rejoice to hear Donald Trump promise that the US will quit the Trans-Pacific Partnership (TPP) on his first day in the White House. For years, Beijing has listened to the Obama administration say the 12-nation regional trade deal was a way of bolstering American leadership in Asia. China was not included in the deal, and President Barack Obama went out of his way to remind the region that this was no accident. TPP allows America - and not countries like China - to write the rules of the road in the 21st Century, which is especially important in a region as dynamic as the Asia-Pacific. Nor was this ever just about the rules on trade. TPP was a core part of the Obama administration's strategic "pivot to Asia". US Defence Secretary Ash Carter said that alongside boosting US exports, it would strengthen Washington's key relationships in the Asia-Pacific, signal US commitment to the region and promote American values. "Passing TPP is as important to me as another aircraft carrier," he insisted. 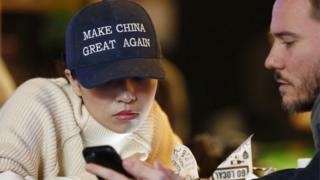 Does Trump offer China chance to weaken US power? No wonder then that Beijing saw the US pivot to Asia, and the TPP within that, as a thinly disguised plan to contain China's growing might. Just this weekend, the official Chinese news agency described TPP as "the economic arm of the Obama administration's geopolitical strategy to make sure that Washington rules supreme in the region". But Donald Trump won the US presidency partly on a surge of voter hostility to trade deals and globalisation. Those who voted for him will see the promise to quit the TPP on his first day in office as honouring campaign pledges. That's democracy. But a nation also makes international pledges. The trade deal Mr Trump is quitting is the same one to which his predecessor signed up and spent years urging allies to do the same. Beijing will now encourage regional Asian governments to compare the reliability of Chinese pledges with American ones. America is an Asian power when it wants to be, Beijing will suggest, while China is the power that never leaves. As Singaporean Prime Minister Lee Hsien Loong warned bluntly on a visit to Washington in August, TPP put America's "reputation on the line" with its partners in the region. "Each one of them has overcome some domestic political objection, some sensitivity, some political cost to come to the table and make this deal," Mr Lee said. "If at the end, waiting at the altar, the bride doesn't arrive, I think that people are going to be very hurt." Today US diplomats can't have it both ways in Asia. After telling partners that pushing through TPP was bolstering American leadership in the region, the obvious conclusion must be that reversing TPP is undermining US leadership. And into this perceived leadership vacuum, China itself is ready to move. Already at the APEC summit in Peru last weekend, Chinese President Xi Jinping told fellow regional leaders it was time for strong partnerships, win-win solutions and strategic initiatives. China will not shut its door to the outside world but open more. Officials travelling with President Xi lost no time in setting to work on re-energised discussion of the less ambitious trade deals Beijing backs, the Regional Comprehensive Economic Partnership, or RCEP, and Free Trade Area of the Asia Pacific, FTAAP. And these moves on trade leadership come within the context of China's "One Belt One Road", a multi-year, multi-billion-dollar blueprint to expand China's investment, trade and strategic influence throughout Asia; alongside Beijing's funding of new development lending institutions like the Asian Infrastructure Investment Bank. In any zero sum view of the great power game in Asia, the US retreat from TPP is in China's strategic interest, and not just because of the loss of an American-backed trade deal or a pillar of its strategic pivot to Asia. The TPP announcement goes to the heart of enormous uncertainty about US intentions under a Trump presidency. Does the US still intend to champion a fair and inclusive rules based system? Or does Mr Trump's "put America first" mean replacing the commitment to co-operative internationalism with a narrower interpretation of US national interest, one based on competition? If the TPP decision suggests a shift towards the latter, American allies in Asia will now await Mr Trump's pronouncements on security with even greater unease. Put bluntly, can the US still be trusted to come to the rescue of its Asian allies if cowed or threatened by a rising China? Whatever the answer, the fact that American allies are even asking the question is already good news for China. And before we leave the subject of Beijing's run of good news from Trump Tower, it comes as much from what Mr Trump didn't say as what he did. While laying out his plans for his first days in office, the US president-elect made no mention of campaign threats to brand China a currency manipulator and slap punitive tariffs on Chinese goods. Silence on this and funeral rites for the TPP which China hated: an excellent news day indeed.